Our 2nd invitational was on October 1, 2018 and we had a great day. We ran the MAC Track CCW the first half of the day, then we ran it CW the second half. 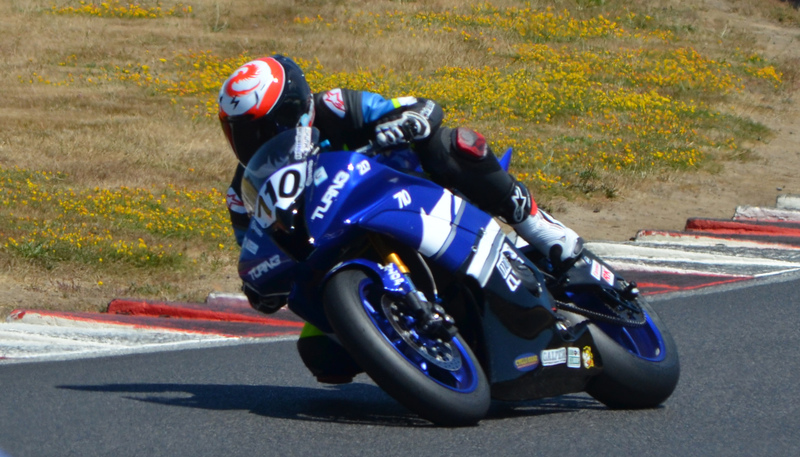 A mix of experience was on display - from very experienced racer on this track (Alex Taylor), experienced racer but first day on this track (Kumpy Kump), one of the fastest guys at the top level (Jeremy Coffey), to track day rider with first season on this track (Larry Lulay). 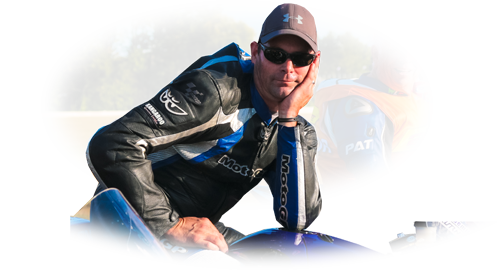 Some of our OMRRA 600 Novice guys were there riding as well (Pearce Lutz and Bill Youngblood), and Jeffrey Toevs hung out with us. Thank God Adolfo Valdovinos showed up with his Z125... he was so cool letting others ride his bike at the track and giving us some great photo ops... plus he was willing to sacrafice his GoPro on the track for some cool ride bys. This was my first time on the MAC Track in a session with someone else on the track at the same time. The great news for me, was Bill Younglood (from TURN3, with me last year in the J2TD series) was there to give me some instruction. My two big issues: I wasn't looking through the corners and I was shifting WAY too much. Check out some cool drone chasing footage and hear about updates Bill Younglood has made since Journey to Track Days last year. With just one race weekend left, there was a change at the top of the standings in the 600 novice OMRRA class with Jeffrey Toevs winning again. He now has a 4 point lead over Pearce Lutz who had just ran the fastest lap at PIR by anyone in the class the day before. This sets the stage for an excellent race weekend in September. Includes front and back facing onboard footage from Pearce's bike. 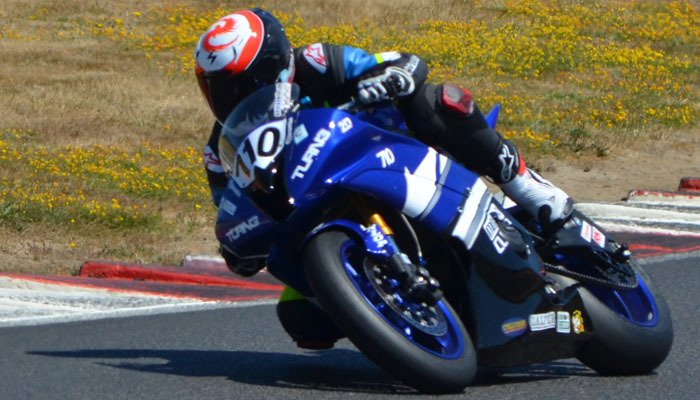 Hear Sportsman 600 winner Pearce Lutz talk about overcoming challenges from the Round 5 OMRRA event on 7/22/2018. Bill Younglood talked with Darrell Gore about his 600 Sportsman and Novice races.